Starting a business is much easier said than done. Franchises are popular because they remove ‘starting’ from the equation, so you can focus on doing business. WSI’s founders realized very early on that the digital marketing space was young, developing and short on franchise opportunities. 20 years later, the WSI franchise still sits on the cutting-edge of the rapidly evolving digital marketing world. And while few franchisors have this kind of success, it’s almost unheard of in the digital marketing world. The WSI INTERNET SOLUTIONS LIFECYCLE® has dual functionality. The Lifecycle not only provides the roadmap to our partners in building a profitable WSI business, but it’s also the blueprint we use to get the best possible digital marketing results for our clients. 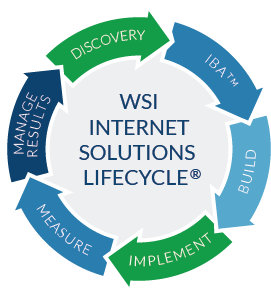 The WSI INTERNET SOLUTIONS LIFECYCLE® exists to streamline your initial entry into our system. The tenets of the Lifecycle are based on 20 years of knowledge and experience within the digital marketing industry. Embracing and following our system-dependent approach assures that your business is effective, efficient and ultimately yields the results you expect from your future with WSI. You’ve taken ‘The Leap’, attended our weeklong training in Toronto, and are open for business! But what’s next? What does your day-to-day schedule look like as a business owner? 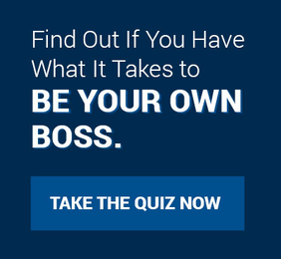 We want you to know the role of our franchisees so you understand what it takes to run a successful business. Your first and most important task as a new WSI franchisee is to immerse yourself in our system and network. Getting to know the WSI Lifecycle like the back of your hand and meeting your local WSI network will go a long way to getting you started on the right path. Next, take advantage of the post-training resources WSI provides for you. In the world of digital marketing, you must be able to offer your clients the most updated and effective solutions, which means staying current with the market. We produce all kinds of resources that are intended for the education of both you and your clients, so always stay-tuned to our digital channels. Once you’re up to speed with the WSI system and brimming with industry knowledge, you’re set for success. Your day-to-day routine should consist of a mix of outreach, relationship management, client meetings and liaising with suppliers to deliver top-notch WSI solutions. Mix in ongoing learning, conferences, seminars and you’ve got a blossoming business on your hands. As your organization grows, you may decide it’s time to branch out and hire people to run certain aspects of your business. This is highly encouraged, but only when there’s too much for you to handle on your own. Once your business has evolved into a full-scale agency, you are off to the races and the sky is the limit! One of the most attractive aspects of WSI is our unique business model, which is one of very few franchise systems that gives you the freedom and flexibility of building your business from the ground up. The WSI franchise opportunity is meant to fit your lifestyle and ambitions - whatever they may be. As you soak up knowledge, meet and network with great people, and develop a strong sense of the digital marketing industry, your role in your franchise is entirely up to you. WSI’s foundational training, completed online in 6-8 weeks, will prepare you for our rigorous live training sessions - regardless of your background. Our initial analysis will also help us to develop your personalized training plan. WSI’s comprehensive, weeklong in-class training is delivered at franchise headquarters in Toronto, Canada. Our experienced educators will teach you everything you need to know about running a digital marketing business, including an overview of the industry, client acquisition, working with suppliers, writing proposals and managing relationships. You’ll graduate a full-fledged marketing expert and WSI business owner. The goal of WSI’s QSP (Quick Start Program) is to ensure that our new business owners are immediately introduced to our franchise’s best practices. We’ve seen what it takes to build a successful digital marketing business and we’re always willing to show you the way. Through one-on-one and group coaching our team is there to ensure you are getting your business off to a great start. Our 250-point program will help to keep you on task during that critical launch phase of your business. At WSI we have developed a support structure to assist every franchisee no matter what level of knowledge they have or how long they have been with the company. At WSI you will participate in ongoing learning activities including webinars, regional trainings as well as some advanced trainings or even have the opportunity to participate in our advanced bootcamp coaching program. You’ll not only be connected to the WSI support team throughout your tenure but also our franchise community. WSI’s social community, nicknamed K2, is a great place for franchisees to access the knowledge and experience of the WSI network. Veteran business owners, key suppliers and home office team members are always willing to lend a helping hand. WSI’s Global Conventions offer new and old franchisees the chance to learn, network and have some fun. The agendas are packed with industry leading experts from companies like Google and Microsoft to top franchisees who provide practical training on how to take your business to the next level. These conventions are a chance for new and existing business owners to connect with industry thought-leaders and see the true power of the WSI network in action. You concentrate on your business; we’ll focus on WSI’s global brand management. Another perk of owning a franchise! To make things easier, you’ll have full access to turnkey lead generation solutions and all the client management resources you’ll need. This is in addition to WSI’s global content marketing strategy and digital display campaigns, all designed to build WSI’s brand and help you generate new customers. We’ve even published a book, Digital Minds: 12 Things Every Business Needs to Know About Digital Marketing, one of Amazon’s highest rated digital marketing books.